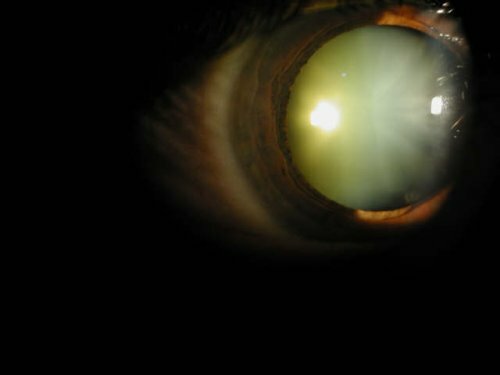 A cataract is a yellowing of the natural lens in the eye. It is not a growth. It is usually a gradual process in which the lens becomes less clear and harder to see through. Sometimes the lens develop non-clear areas that are not yellow. The above example has a frosted flower like opacity that made it difficult for the patient to see. The lens, when unclear, is unable to focus light the way it should. Often light is scattered and images become unclear. Problems seeing in bright or dim light are frequently mentioned by patients. Cataract surgery is an elective surgery. It’s a “want to” surgery. Not a “have to” surgery most of the time. When a patient’s vision becomes blurred by cataract to the point that they are having trouble doing their activities, we consider options. The vision can be like looking through a stained glass window. If the stained glass is dark enough, no glasses can help you see through the church window! The patient can consider cataract eye surgery after consultation with the doctor. See how our patients describe their cataract symptoms and their surgery experience. During cataract surgery in Zephyrhills the eye is numbed. Usually something is given for relaxation as well. 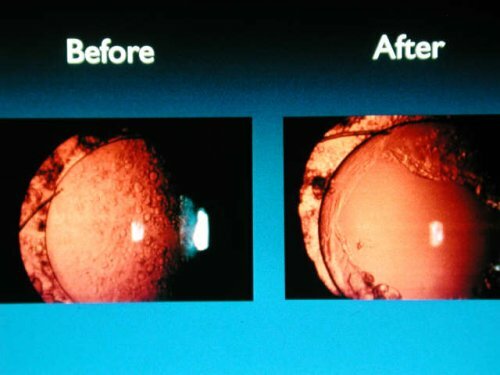 The cataract eye surgery usually only takes a few minutes and usually does not hurt. 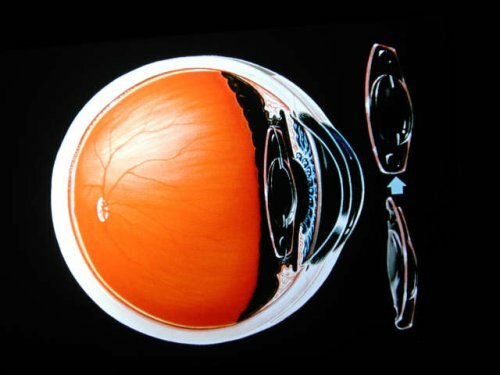 The cloudy natural lens, the cataract, is removed or liquefied through a small opening. Ultrasound or sound waves liquefy the lens and usually the bag that holds the lens in place (the capsule) is left alone. 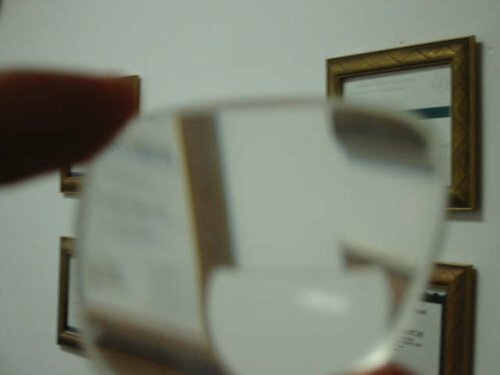 To see a presentation on how the lens implant stays in place and also see a cataract surgery click the link below. Cataract Surgery Patients from The Eye Clinic of Florida. Patients of The Eye Clinic of Florida talk about the difference that cataract surgery has made in their lives. 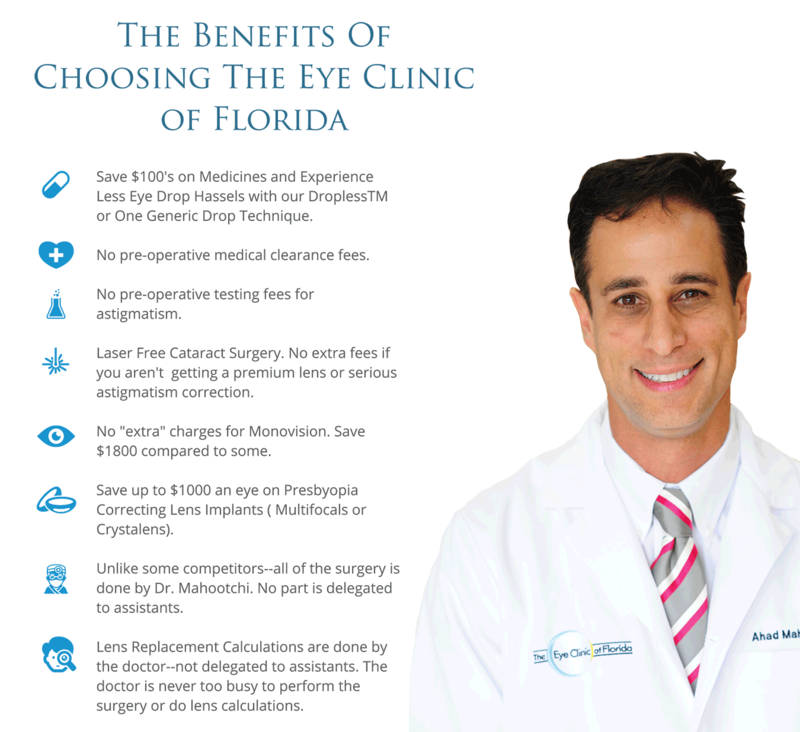 The Eye Clinic of Florida serves patients in the Greater Tampa Bay Florida Area. The new clear lens implant replaces the cloudy old natural lens. Often a surgeon could choose to not only replace the cloudy lens, but also improve the prescription afterwards. The above patient used glasses to see in the distance before her cataract surgery. Dr. Mahootchi incorporated her old glasses prescription into her implant (even the astigmatism). She now sees well in the distance without glasses. Cataracts do not come back. but often the bag that holds the lens implant in place becomes less like Saran Wrap and more like wax paper with time. 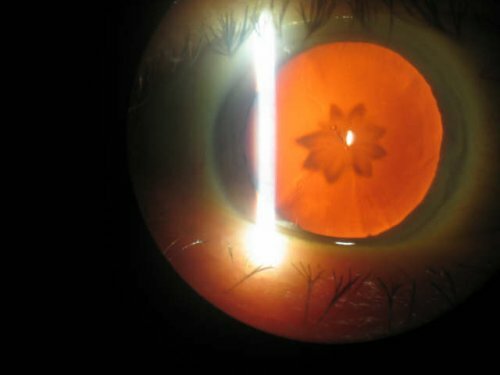 When the vision bothers the patient, a laser procedure can be done to painlessly make a hole in the “wax paper” like membrane around the lens. This is usually done only once in a patient’s lifetime. 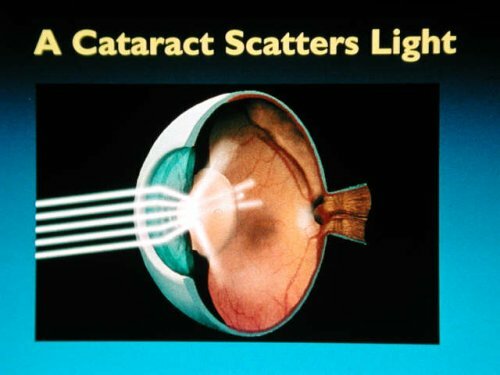 Cataract surgery is one of the most common surgeries in the United States and in the world. It restores vision to millions of patients each year. It is very successful, but there are risks. You should discuss those risks with the doctor performing the cataract surgery.